A consultative body to the Bishop's Conference of England and Wales consisting of representatives from 32 major organizations and 22 Dioceses. It serves as a forum in which Catholic Women are enabled to exchange experiences, express their hopes and concerns and make recommendations. Future events will be detailed here as they become available. For details of national events, study days etc, see the National Website. Diocesan link: Mrs Pat Kennedy. 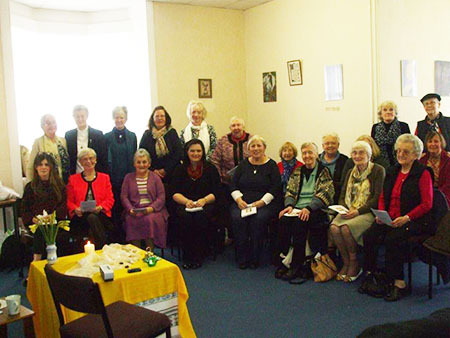 On Saturday 17 November a group of women met together with Rev. Caroline Worsfold to reflect on 'Finding God Through Art and Scripture'. 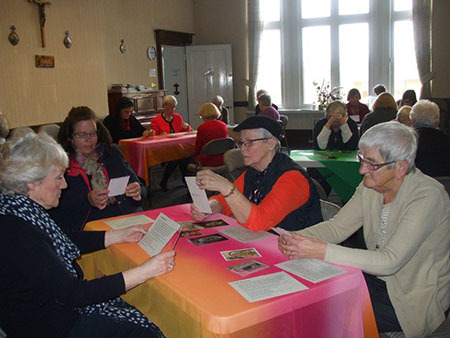 This day was arranged in partnership with Diocese and the National Board of Catholic Women and two members of the board Mary McHugh and Patricia Stoat joined the group for the day, which was held in St. Hilda’s Diocesan Resource Centre, Newcastle. 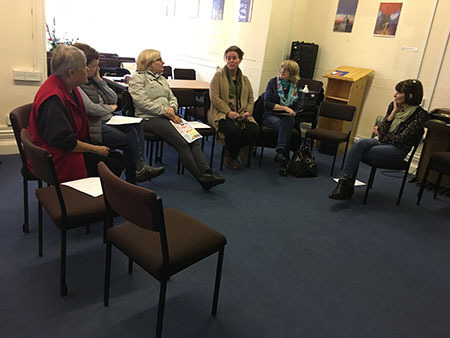 The feedback of the day was that it was good to be given the opportunity to come together with others to share feelings and to reflect on our collective and personal journeys. The group were supportive and great to journey with on this very well resourced and prepared day. It was quietly and skilfully led; it has helped us on our journey and we look forward to meeting up again next year. 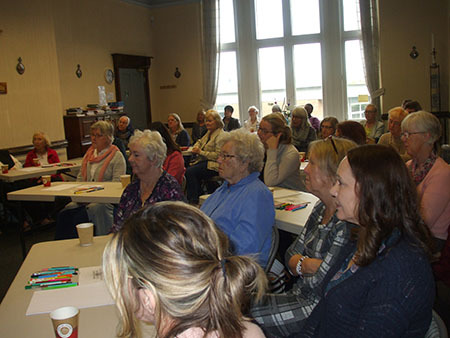 This Diocesan day in partnership with the National Board of Catholic Women was held in St. Hilda's Diocesan Centre in Newcastle on Saturday 16 September 2017 and led by Sr. Sheila McNamara RSCJ. 42 women attended this day which was found to be uplifting, special and grace filled. "We feel empowered to go out and all I know is, this has been a very important experience for me. I have made new friends. Thank you all for this excellent peaceful reflection." Thank you Sr. Sheila we came looking for a quiet space and found grace! 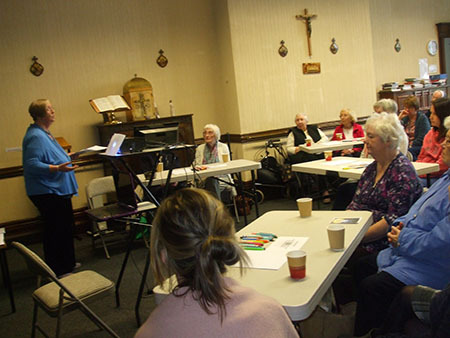 This day was held at St. Hilda's Resource Centre Newcastle on Saturday 9 April 2016, led by Sister Anne McCarthy. 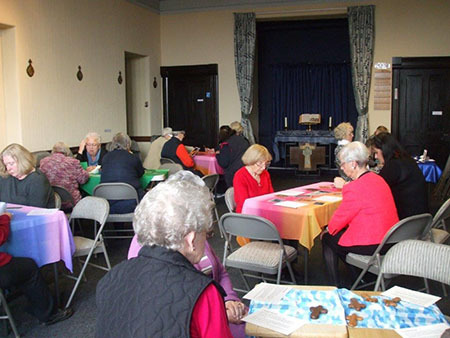 20 women attended this Day which was said to be a very inspirational peaceful Day; thoroughly enjoyed, it has been full of joy, reflecting on the gospels. A wonderfully prayerful Day, which will stay with me for many days to come. A wonderful opportunity to take the time and space to reflect - even in the worst times.God loves me and still has a purpose for my life. God's powerful presence is everywhere, not least here in St. Hilda's. Thanks to Sister Ann and thanks too for this great venue, the welcome and hospitality was marvellous and we will most certainly come again. We will be on the look out for more of these days. Thank you. 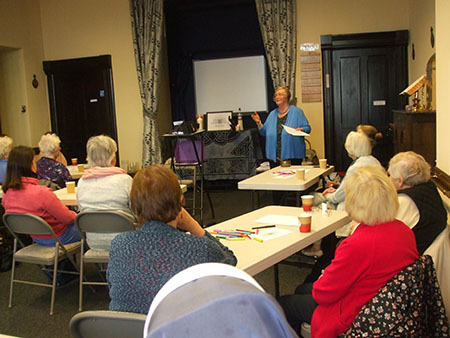 A Day of Recollection for Women, finding the feminine in God through art and Scripture, led by Rev. Caroline Worsfold. On Saturday 17 November 2018 between 10.00am - 4.00pm. Being held at St. Hilda’s Diocesan Pastoral Centre, West Road, Newcastle upon Tyne NE15 7PY. Booking requests to Pat Kennedy by email.